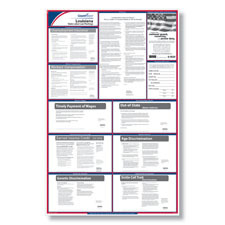 Post Louisiana's required labor law posters with the all in one compliance poster solution. 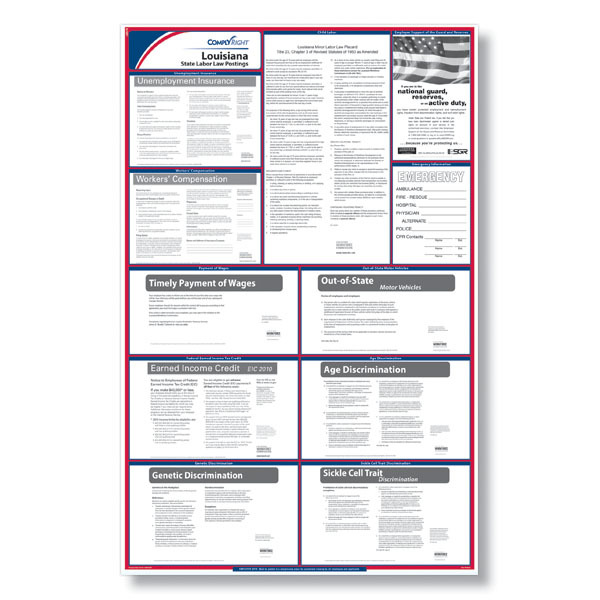 The Louisiana state labor law poster includes every mandatory posting you need and is the only one that maintains the exact size, type fonts and layout of the official postings released by government agencies. Now you can focus on what matters to your business. The Louisiana Earned Income Credit poster has been updated to reflect the 2018 income limits for earned income tax credit. The Louisiana Earned Income Credit poster has been updated to reflect the 2017 income limits for earned income tax credit. The Louisiana Earned Income Credit poster has been updated to reflect the 2016 income limits for earned income tax credit. The Louisiana Earned Income Credit poster has been updated to reflect the 2014 income limits for earned income tax credit. The Louisiana Earned Income Credit poster has been updated to reflect the 2013 income limits for earned income tax credit. The Louisiana Child Labor poster has been updated to clarify the allowable hours and industries youths 14 and 15 years of age are permitted to work outside of school hours. The Louisiana Child Labor poster has been updated to reflect changes to the restricted work hours and work days for minors under the age of 16 during the summer beginning on June 1 to Labor Day.